“Set a 12-inch level on the roof. Run the level perpendicular to the edge of the roof. If your level is longer than 12 inches, let the excess hang over the roof edge. Allow one end of the level to rest on the roof. Center the bubble in the level. The end closest to the roof edge will be elevated. Measure the distance from the bottom of the level to the roof. 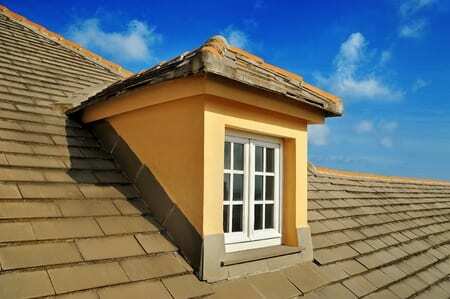 If there is more than one layer of shingles or roofing material on the roof, account for the space. For accuracy, your measurement must be to the top of the sheeting. This measurement is called the rise. Calculate the slope of your roof by entering the numbers in the order of rise and then run. For instance, if the rise is 4 inches, your roof slope is 4 inches by 12 inches, or 4:12. If the rise is 5 inches, the slope is 5:12.” To read the entire article click here. For all your roofing needs in Nevada, Scott Roofing provides professional roofing services to residential and commercial property in Reno, Nevada. For more information contact Scott Roofing at 775-331-5090.